The majority of our personal funds aren’t always frittered away on dodgy investments and ill-considered loyalty schemes. A lot of it disappears under our very noses while shopping – and we are often completely oblivious to it! There’s no catch – supermarkets will often promote discount codes and printable vouchers that you can use free of charge. You can usually find these on the actual store website or on national voucher and discount sites. Sometimes, discounts may only be as little as £2 or £5 off your shop, but every penny counts! Never go shopping on an empty stomach. A lesser-known phrase in the ‘don’t eat before you…’ series but an important one nonetheless. As strange as it may sound, you are actually more likely to overspend when you’re hungry. Hunger triggers our impulsive nature, making us more likely to buy an item we need at an overpriced store in a rush to ‘get it over with’ – so be warned. Eat before you shop! If you plan to shop in store – whether it’s for your weekly food shop or for new clothes – try to shop when stores are at their busiest and most crowded. This may sound counter-intuitive to a good shopping experience but a swarm of customers can be your saving grace when it comes to spending less. A consumer research study at the New York University Business School found that shoppers are less likely to buy unnecessary items when they’re surrounded by others. The added pressure of a crowd actually gives you clarity, allowing you to buy only what you need and leave. When buying online, always stop to consider your delivery options carefully. Most online stores will offer a free ‘collect in-store’ option. If this applies, try weighing this against the cost of delivery charges. 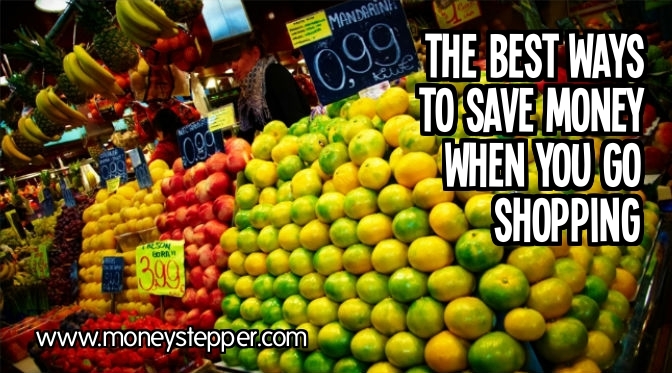 If you can save more by driving to the store to pick your item up, do it. Hack the system by paying online only prices for in-store items. As well as controlling your outward payments, make sure you’re also getting the best possible deal when it comes to selling your stuff on too. We’re all guilty of going a tad overboard with our shopping habits and amassing items we no longer have use for – and it’s important to get a fair return on these when we sell them. It’s surprising how much an electronic item or old piece of jewellery may be worth to the right market, so ensure you sell your items to a reputable buyer for a reasonable and honest deal. Shopping Around For Car Insurance Could Save You £300k! Shopping while it’s crowded does seem counter-intuitive; I never thought about it like that, though! I absolutely hate grocery shopping when the aisles are crowded, and do my best to get everything I need and leave. But when the stores aren’t crowded, I take my time and meander around. Good tip! That Shop at Peak Times bit is good to know! It’s definitely true for me! On the other hand, I don’t like grocery shopping. So if I go when I’m full I’ll just pretend I don’t really need groceries so I won’t buy enough haha. Truth. I’d also add shop with a list! If I go to the store without a list, I’m much more likely to purchase items that pique my interest versus those that I actually need. Next on my agenda is meal planning which I still haven’t tackled! A great list to save money, I have aware of discount voucher. I am Shopoholic I love shopping most. For making my shopping cheap and affordable I used a discount voucher from voucher fox, they offer such a wonderful deals and discount voucher. What an awesome idea to save money from shopping. Really, I love it. Here, I found one more interesting tip ie. do not go for a shop on an empty stomach.. LOL 🙂 🙂 I’m too. I can’t go anywhere on empty stomach. Each and every tips are awesome but more important thing is that we should always compare the products from a online to In-store that may help to save money more. Also, we must use vouchers while shopping. These tip are amazing and therefore, I just couldn’t hold myself to tweet this on twitter. Hope, my friend will take interest on it. Thanks a lot for sharing an interesting post.